LAS CRUCES, N.M. -- The NCAA national office announced Thursday, Oct. 24, the Graduation Success Rate (GSR) and Federal Graduation Rate data for the 2003-06 cohort for all Division I institutions as part of the annual NCAA Division I Academic Performance Program. New Mexico State, who’s GSR was 70 percent a year ago, now has a GSR of 73 percent in this year’s report, the highest graduation success rate NM State has ever accomplished to date. The latest NCAA report includes incoming freshmen and transfers who came to NM State between 2003-06. An average of 73 percent of student-athletes who enrolled during that period graduated. The 73 percent mark is three points higher than the previous report. 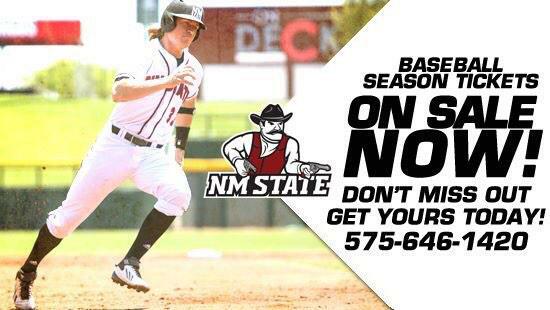 NM State had an average of 64 percent five years ago. Men's cross country and track and men’s golf was the highest sport at 100 percent. Men's golf was at 86 percent and baseball was at 73 percent. Women's softball had a 94 percent, swimming was at 93 percent and volleyball was at 91 percent. NM State football was at 63 percent and men's basketball was at 29 percent as the latest GSR includes the transition between Lou Henson to Reggie Theus and Marvin Menzies.